Branch County was a primeval wilderness little more than one hundred eighty years ago, inhabited only by the Potawatomi Indians. In 1822 Joseph Godfrey opened a trading post near what is now downtown Coldwater, and seven years later, with a population of 140, Coldwater became a village. The area was named Coldwater based on the Potawatomi word "chuck-saw-ya-bish," or cold running water, after the river that runs through town. Telegraph lines reached the town in 1848 with the railroad following a year later. During the mid-1800s, Coldwater was a horse training and breeding center, providing three thousand horses to the Union Army during the Civil War. A light artillery battery from Coldwater, led by Commander Cyrus Loomis, went to fight for the Union and soon became one of the most renowned regiments in the country. 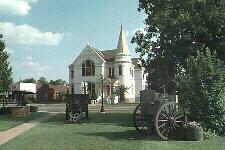 Several of their Parrott cannons can be seen across from the Coldwater Public Library. After the war, cigar manufacturing contributed to the area's prosperity. In 1882, records show 13.4 million cigars were manufactured in Coldwater. Today the city reflects a unique balance of past and present, featuring many fine old turn of the twentieth century homes. With its 112 lakes (Branch County sells more fishing licenses than any other county in the state) and its dedication to historic preservation, Coldwater remains a vital stop on U.S. 12. 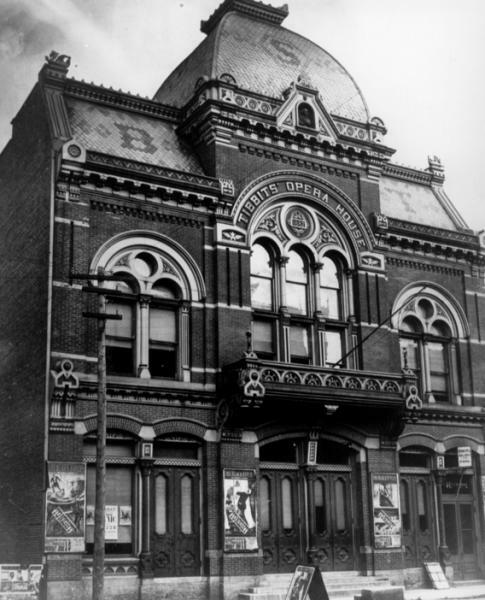 The Tibbits Opera House was built in 1882 and is the second oldest theater in Michigan. It played host to the likes of Ethel Barrymore and John Philip Sousa before being converted to a movie theater in the 1930s. By the 1960s a campaign began to restore its original use as a theater and to restore its French Empire architecture. It is now a venue for a variety of cultural activities. Wing House Museum - Step back in time to a less complicated life when water came from the cistern, there was a fireplace in every room for heat, and forms of elegance could be found in decor to glassware. A monument to the High Victorian way of life, the Wing House Museum is a prime example of 19th century Second Empire architecture. The Coldwater Public Library is one of the oldest libraries still functioning in its original building in the state of Michigan. Its architecture graces the four corner parks and dominates the central business district. In 1974 the building was named a National Historic Site and became the cornerstone of the East Chicago Street Historic District. The library received one of the first Michigan Historic Preservation Grants in 1975. Capri Drive-In Theater - This popular 1,000-car, single screen drive-in movie theatre opened in 1964 by John and Mary Magocs. Admission was $1.00, and a cheeseburger cost 45 cents. In the summer of 2001, The Capri Drive-In earned the high honor of being named to the Ten Drive-In's Worth a Detour lists by both USA Today and The New York Times.